Black Ferns Head Coach Glenn Moore has named the team to play Australia on Saturday, 25 August at Eden Park in Auckland. Moore has named an unchanged team to the one that beat Australia 31-11 in Sydney, with newly capped tighthead prop Leilani Perese bracketed with the experienced Aldora Itunu. Moore said Itunu had progressed well this week after sustaining a minor injury in Sydney and is expected to retain the propping duties. Moore has placed his faith in a side that contained five players making their Test debuts in Sydney, including newcomers Ruahei Demant who will retain director duties at first-five-eighth, and Southland’s Alena Saili who will once again, camp out on the left wing. He said while the new-look team had stepped up and taken on the big occasion of the first Test of 2018, there were areas for improvement. “We’ve obviously spent the week reviewing our performance and identifying where we need to fine tune. “In Sydney we adjusted our gameplan when Australia started shutting down our outside backs. Our forwards really stepped up and helped us get the points. “It showed we have the ability to be nimble but we’ve talked about the fact we created opportunities, and didn’t always finish them. This weekend is our chance to apply some polish and convert those opportunities into points. Moore said the team had loved being in Auckland which is home for many of the players and were excited about the chance to play in front of a big crowd at Eden Park. “Family is very, very important to the Black Ferns. We always have a sense of responsibility that when we go out there, we’re representing our country and families. The desire to really perform at Eden Park is huge for us. All Blacks v Australia, Eden Park Auckland. The Laurie O’Reilly Memorial Trophy Test matches will be broadcast live in New Zealand on SKY TV from 4.30pm. The Laurie O’Reilly Memorial Trophy is named in honour of the first Black Ferns Selector, Coach and stalwart of women’s rugby. In 1989 Laurie O’Reilly selected and coached New Zealand’s first first national female team which beat the visiting Pacific Coast Grizzlies. 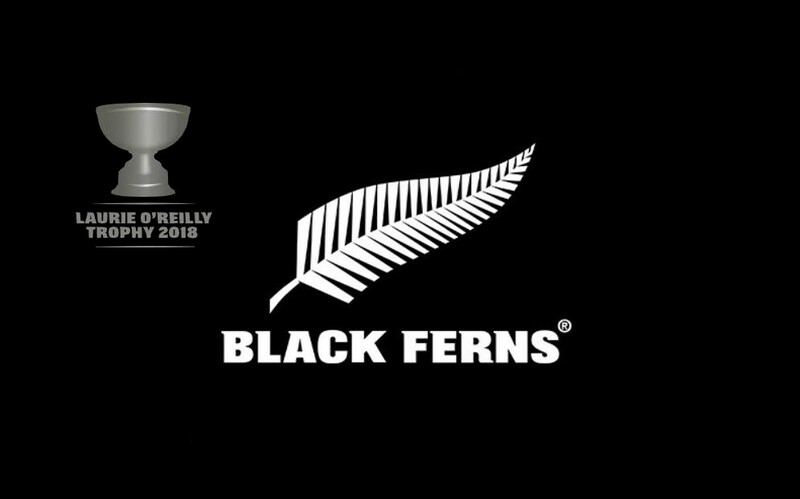 The Black Ferns are current holders of the Laurie O’Reilly Memorial Trophy. Laurie O’Reilly passed away in 1998.